Is it Time to Police Pay at Wall Street Banks? As a longtime free-market advocate, I never thought I would be writing this – but the time has come to regulate the Wall Street compensation of senior banking executives. The Federal Reserve has been trying to discourage excessive risk-taking by many banks, including their permissive lending by regulating bank executives’ pay. More than 5,000 banks would be covered. Such practices helped lead to the deepest financial crisis in decades. The behavior was so bad — in addition to the billions in Obama Administration bailouts — it also helped exacerbate problems with the agency that insures consumer accounts to $250,000. Federal Deposit Insurance Corp. was forced to consider borrowing money from the U.S. Treasury. FDIC’s bank insurance fund paid out $70 billion through 2013 after 123 banks collapsed by Thanksgiving in 2009. Since then, big bank profits skyrocketed and bank employees are still getting massive pay and bonuses. The 2013 profits were up an aggregate 21 percent — $74.1 billion for Bank of America, Citigroup, Goldman Sachs, JP Morgan Chase, Morgan Stanley and Wells Fargo. 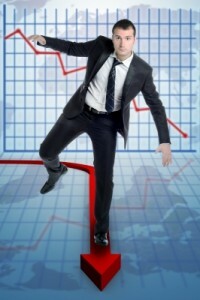 Businesses have suffered because their accounts are not insured. He bluntly criticized the behavior on SWAPS, a financial instrument called a derivative. Simply put, it pays face value to the buyer if a company does not meet its debt obligations. SWAPs and bad bonds victimized investors and the bankers garnered mega paychecks. But when the homeowners failed to pay mortgages, banks faltered and the huge losses rippled throughout the economy. But only the banks were bailed out by the government (taxpayers). To add insult to injury, banks have been allowed to borrow at extremely low interest rates. But they failed to make funds available to consumers and business, and once again enjoy enormous profits. And they have been paying huge paychecks to management. Five years later, grandma is still getting negligible interest on her CD. Receiving comparatively little attention has been the continuing predatory behavior on credit card customers – banks and credit card companies are still geting away with bogus reasons for jacking up credit card rates and fees. But a year after the collapse of Lehman Brothers, another SWAPS practitioner, SWAPS lost their stigma, according to published reports. But he points out the Fed would be over-matched in its proposal to regulate bankers’ pay. Strictly reduce the amount of risk that banks undertake. Require high reserves – much higher. And on a related topic while we are cleaning up Wall Street practices, let us correct the predatory behavior of banks and credit card companies that dramatically increase rates and fees for bogus reasons. The companies are domiciled in a handful of states that permit such behavior. In other words, here is what is really needed: Police the behavior of these people. But are the Obama Administration, Congress, certain state lawmakers, and regulators conscientious and determined enough to do the right thing and stop the madness? Legal War on Wall Street Chicanery Isn’t Finished — Updated Sept. 9, 2014 Wall Street continues to prove again and again that it needs a moral compass. True, JP Morgan Chase was fined $20 billion in fines in 2013 and Bank of America was fined more than $16 billion for their companies’ behavior in Wall Street’s collapse in the Great Recession.